The Ansell DermaShield 73-711 Single-Use Sterile Work Gloves (Pack of 10 Pairs) are technically advanced sterile gloves offering chemical protection in clean environments. They are free from proteins and accelerators to minimise allergy risks, and feature a beaded cuff to prevent gloves from rolling down, increasing protection. The gloves are also triple-bagged for superior contamination control. 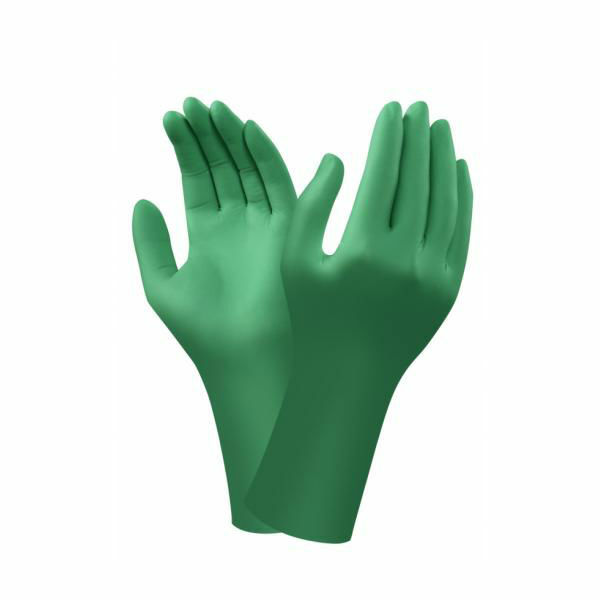 The product code for the gloves is: 73-711. Each of the ten pairs of gloves is packaged in a poly wallet, which is sealed in a poly envelope. The ten individually packed pairs are then stored inside a sealed polybag for further protection. The polybags have an easy-tear opening for quick access, and all packaging is printed with cleanroom-compatible IPA-resistant ink. This helps to maintain quality contamination control. As well as protecting clean environments from contamination when in contact with hands, the gloves protect hands while handling chemicals and other substances. They feature a beaded cuff to prevent gloves from rolling down, and the comfortable and flexible design of the gloves allow hands to remain dexterous while working. Please see the PDF below for information regarding chemical permeation breakthrough times. These gloves are available in a range of sizes, making them suitable for most users. Please consult the table below for details, then select the required size from the drop-down menu at the top of the page. The gloves have a thickness of 0.175mm and a length of 310mm.